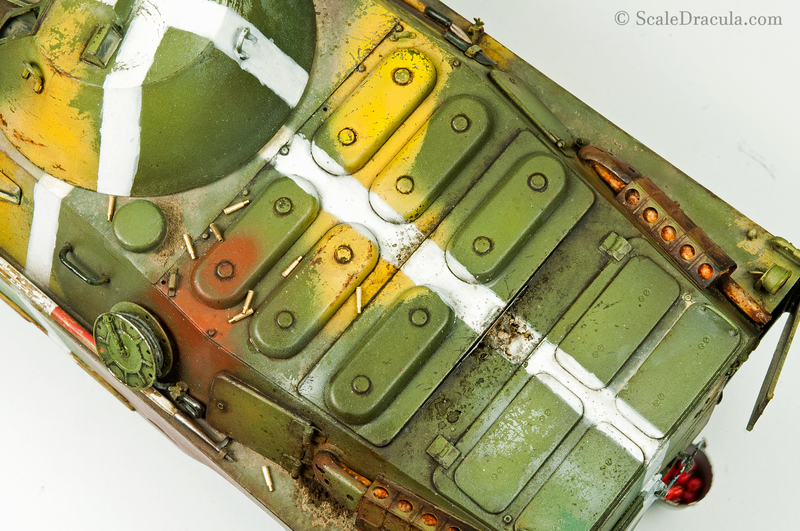 Can scale modelling be considered art? That’s a question that I often see debated on Facebook or hobby forums. I’ll deal with this subject another time as I’d like to ask a different question: what can we learn from the history of the actual art? 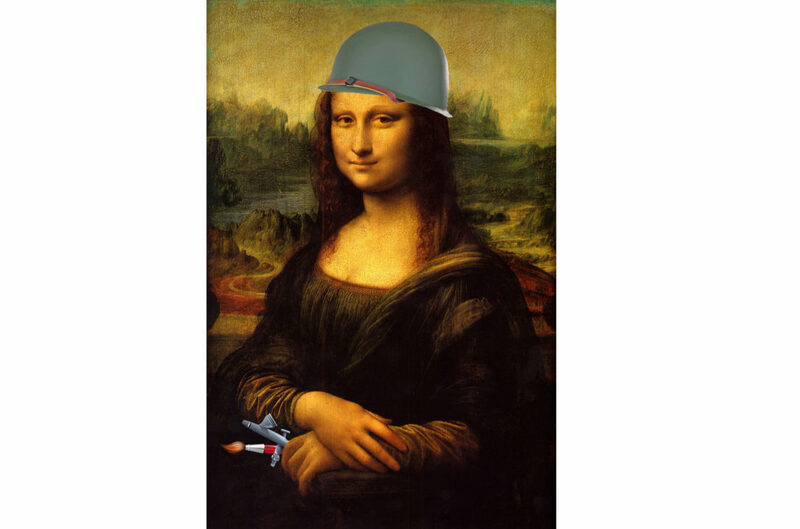 Although little tanks and aircrafts can rarely make their way to the famous galleries, there’s a lot of things that tie our hobby to the world of art. Pigments, oil paints, inks…? These sound familiar? They’ve been used by artists since centuries. But it doesn’t stop at supplies. Non-metallic metal, glazing, directional lightning? These are some of the techniques mastered hundreds of years ago. I’d like to talk about my art inspirations basing on three concepts that I find extremely important in our hobby: the contrast, the realism and the detail. Michelangelo Caravaggio was an Italian painter living at the turn of the XVII century. He started his career in late Renaissance but eventually he became a great inspiration for the next era: the Baroque. Caravaggio was a visionary, an innovator and a very naughty fellow. When he wasn’t changing the history of art for a moment he would often wander the streets of Rome holding a sword and looking for trouble. Caravaggio in many different ways reinvented the technique of painting and pushed the art a million miles forward. He was one of the creators of the chiaroscuro – a high contrast composition technique that creates a tridimensional effect on a painting. As you can see on one of his masterpieces below, ‘The Incredulity of Saint Thomas’, the figures are coming out of pure darkness sculpted by the strong directional light. The contrast between the background and the Christ’s robe is tremendous. The light works here on a psychological level as well. Jesus is the brightest of the figures, with the apostles covered in the shadow of doubt. Caravaggio instinctively knew what the scientists needed centuries to prove: that the human eye is attracted to a sudden chromatic change. That’s way we love to look at things like chessboard pattern and that’s why contrast is so essential in visual arts. 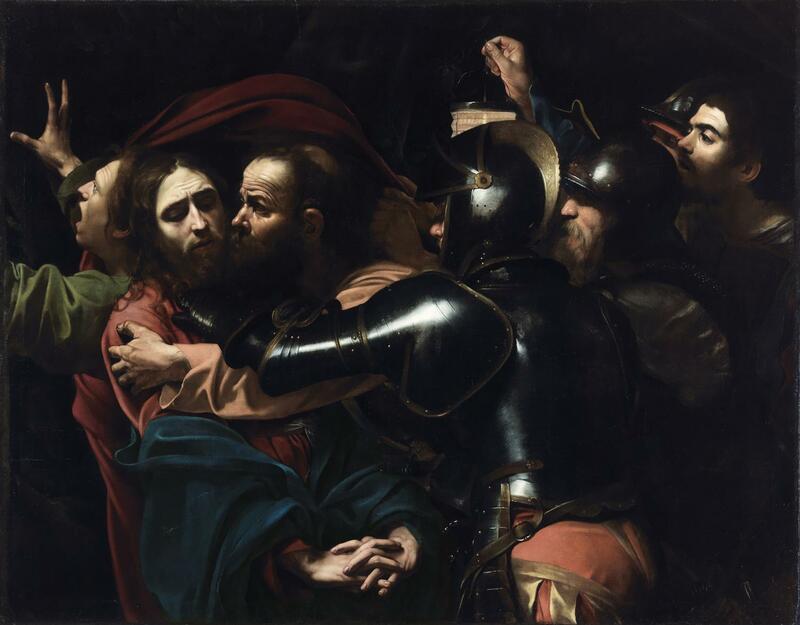 Down below you can see another example of Caravaggio mastery: ‘The taking of Christ’. The light here works in a similar way showing only the essential elements of the composition. The rest of the painting is covered in darkness. Look at the fantastic example of non-metallic metal in the centre. There were no metallic pigments back then! And by the way, the first guy from the right is the face of Caravaggio himself. 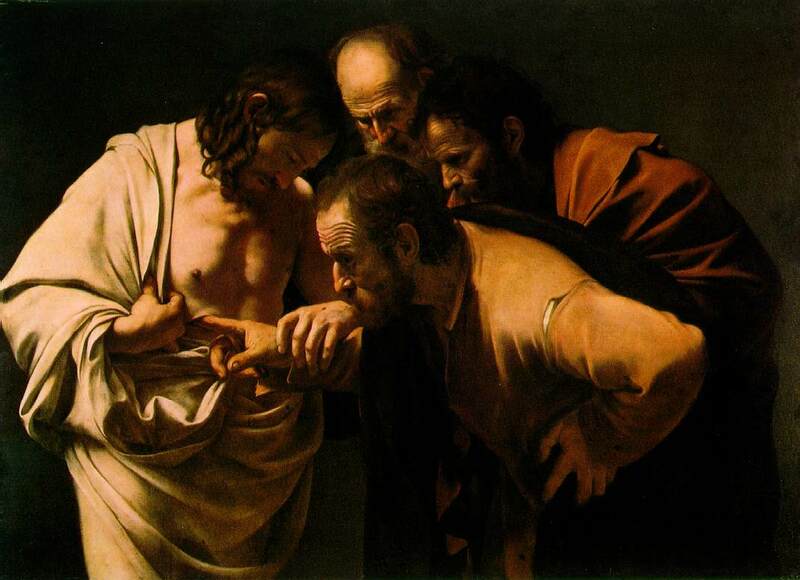 Caravaggio was also a great innovator in the field of realism that I’ll be dealing with later in this article. He rejected the idealistic composition of Renaissance dictated by the religious decorum. He would often hire prostitutes as models for Virgin Mary and street beggars for the apostles. It sounds like nothing much today but back in the late XVI century it was a major scandal and controversy. 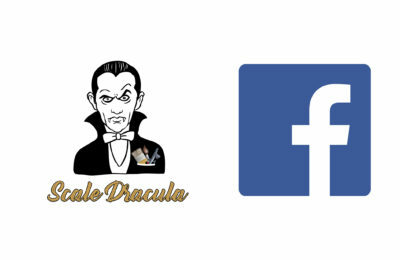 Ok, Ok… I know what you want to ask. How the hell does all this actually relate to scale modelling? Well, the same concepts Caravaggio is famous for are implemented in the modelling as well. 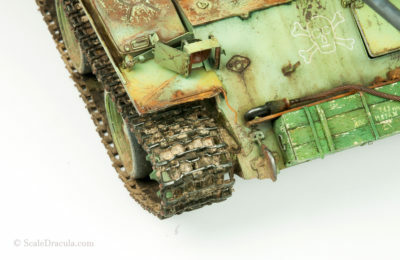 Let’s take the wash technique – it’s primary purpose is to show the details of the models by increasing the contrast between them and the rest of the surface. Colour modulation works similarly – we boost the contrast between panels of the model to increase its 3D appearance. Just like the ‘light modelling’ Caravaggio did on his painting. 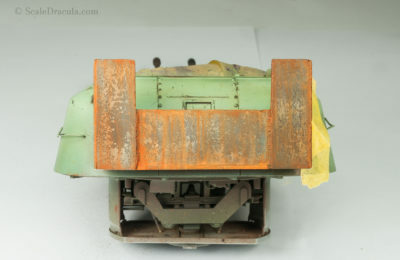 The bottom line is this: the contrast is one of the most important aspects of visual arts, scale modelling included. We should always look for contrasting colours on our models and we should crank this contrast up to eleven. That’s what I tried to do on my BRDM-2 project. The clean, white line is already in contrast with the weathered camouflage surface. But I doubled that creating those dark glossy oil stains. The gradual contrast change is what makes this part of the model interesting in my opinion. Realism was a natural concept of art for centuries. At least until Pablo Picasso came with his cubistic friends and pretty much messed it all up. But before that, most of the painters would try to mimic the reality as closely as they could. There’s been a lot of talented realistic painters but Francisco de Zurbarán from Spain seems really special to me. He lived at the same time as Caravaggio and in a lot of ways his art was similar to his famous Italian colleague. Zurbarán painted religious subjects using chiaroscuro as well, but I’d like to talk about something else here – his still lifes. Still lifes are not the most in-your-face kind of art. 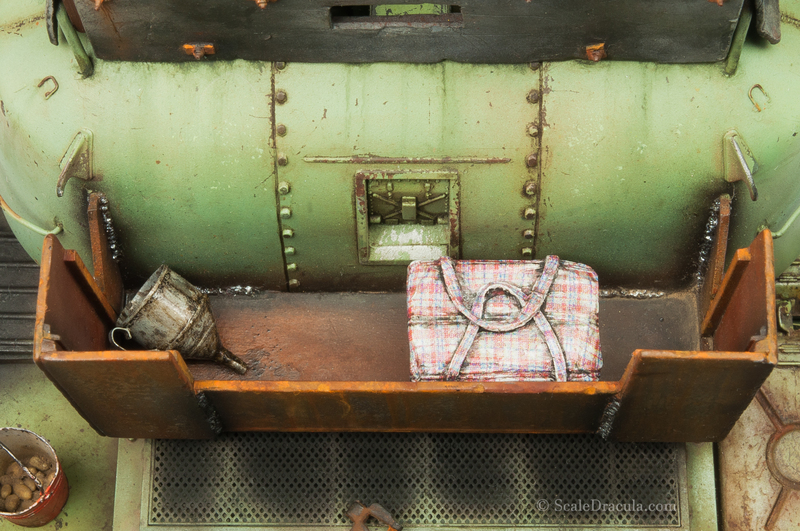 Just some inanimate everyday objects lying around – you might say. But it’s the technical mastery that makes these paintings stand out. And Zurbarán knew everything about it. 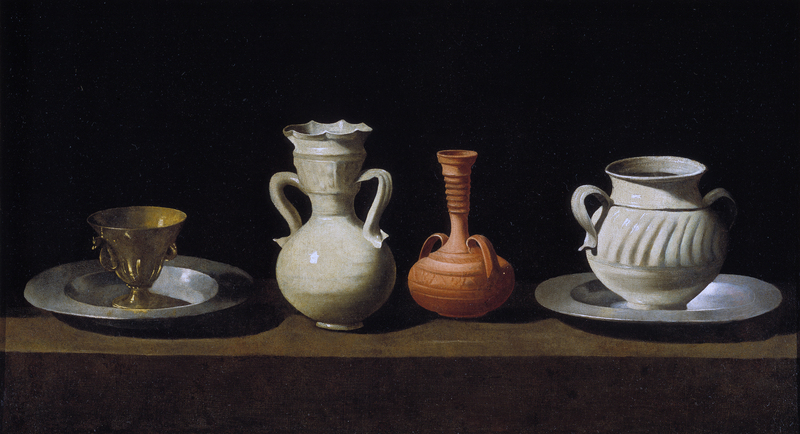 Look at the picture below: it’s ‘The still life with four vessels’. Only a couple of bowls, I know. But observe how perfectly rendered they are. The shape, the texture, the shades and highlights – everything is spot-on here. We can easily distinguish metal from porcelain and clay. Metal is shiny with huge tonal changes depending on the position towards the light source. The porcelain has a more discreet glow but at the same time it looks really smooth and elegant. The clay is matt and porous. The rough texture absorbs the light so there’s no reflection on the surface. 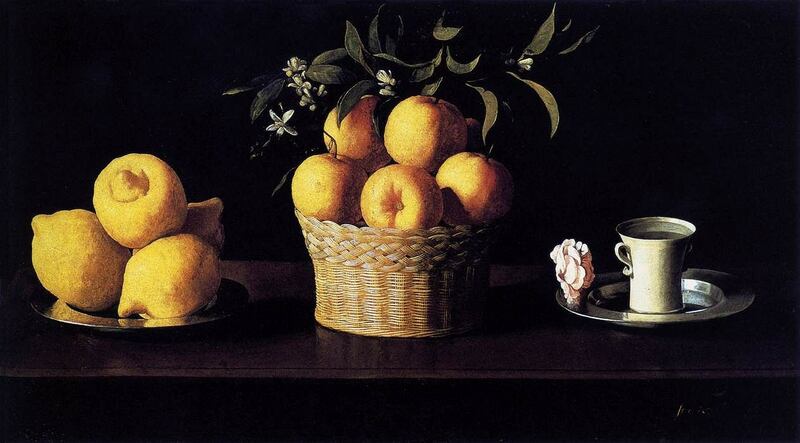 Another example is the ‘Still life with lemons, oranges and roses’. What I love here the most are the textures. The wrinkly lemon peel, the satin basket, the silver plate… The technical mastery of this painting is almost hypnotizing. The connection with the scale modelling is obvious here. The total realism is what we wish for trying to recreate a real object in miniature. But we rarely think about how complex this process really is. The colour is not enough to fully describe the reality. Every object has a set of properties and the colour is only one of them. The texture tells us what the object was made from. The finish (matt, satin, glossy) shows how it interacts with the light. Only when we combine at least those free factors – colour, texture and finish- we can think about representing an object faithfully. Heronymus Bosch was a Netherlandish painter from the late Gothic and the early Renaissance. But artistically he didn’t really belong to any of those periods. Bosch was one of the first painters to stop smoothing the paints out on the canvas. Instead he would create a rough texture to go hand in hand with his expressive style. Bosch was also known for taking up subject not that common for his period: fantasies, nightmares and dreams. 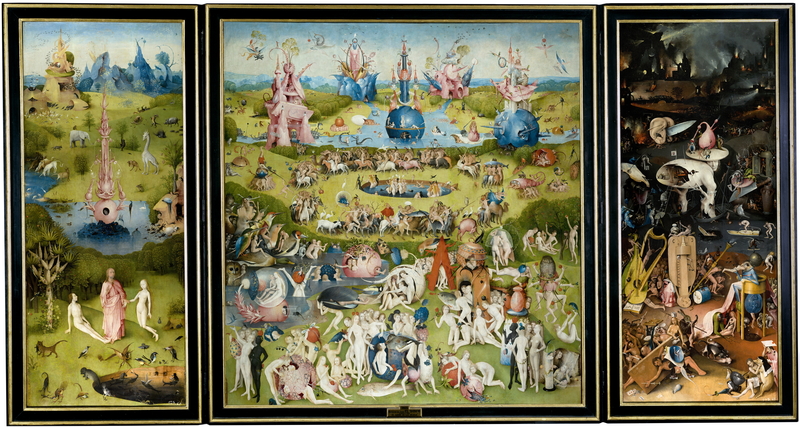 Here’s his most famous painting: ‘The garden of earthly delights’, a triptych presenting heaven, earth and hell. The perspective is so wide it can almost be considered a landscape. But the painting is even more interesting when we get closer and look at the details. 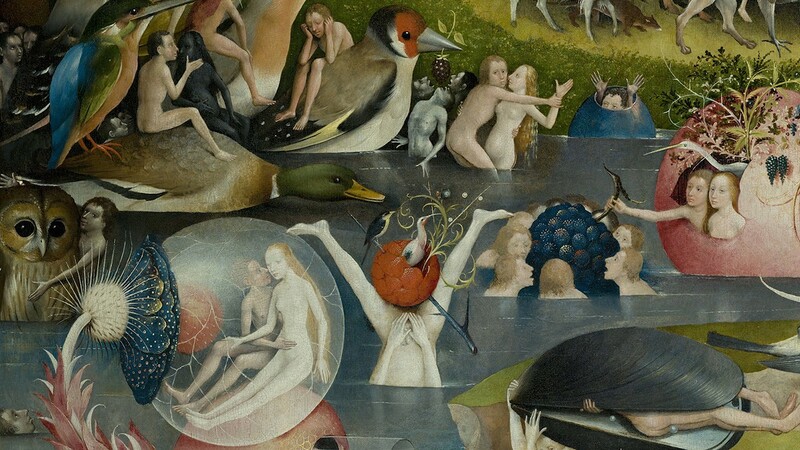 Bosch created a multitude of weird dreamlike scenes. 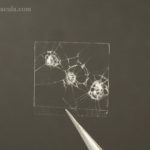 Some of them interact with each other forming even more complicated structures. You focus on one scene and then you go straight to the other – hours will pass until you get familiar with the whole painting. One thing is particularly important here: all these little details create a consistent entity. There’s no impression they were painted there by coincidence. I like to think models are like paintings. The more elaborate and detailed they are, the more time you want to spend admiring them. The viewers’ attention is short – if you don’t give them enough reasons to take a closer look, they will get bored very quickly. But if you create enough details on your model, the viewer will get drawn into your story. This is especially important if you’re into modelling contests. To win them, it’s usually a good idea to stand out from a crowd. 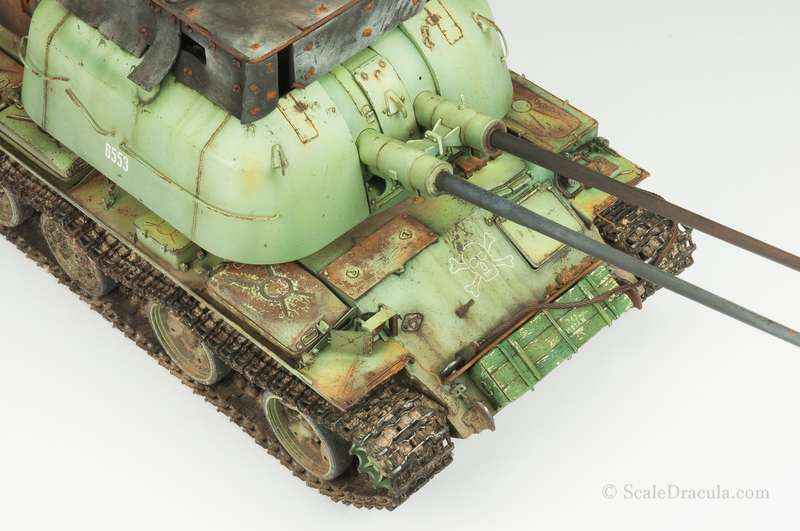 Let’s say a three-tone camo Panther in the herd of boringly green T-34’s. But once you get the attention, you need to keep it for a longer time. And details are the way to do that. Here’s my ZSU-57-2 again. I added some accessories like funnel, cargo bag and a bucket with potatoes. These are interesting details by themselves. But once you get close to look at them you notice some other things: tiny chips and scratches, rust streaks or weld lines. 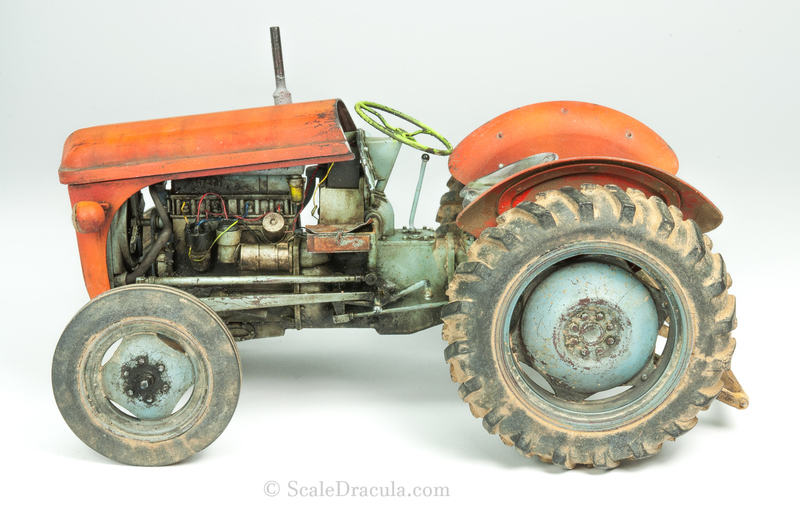 And here’s another example: some coloured details on my Ferguson tractor. I painted the wires and the steering wheel in some vivid colours hoping that they would grab the attention to this otherwise dirty and greasy machine. IS THIS ALL IRRELEVANT AND OVERSOPHISTICATED? Maybe. I’m not claiming I’m the Caravaggio of scale modelling. It’s very likely none of us can get to the level of humanism and technical proficiency of the old masters. But looking at it at a very basic level – we all hold brushes in our hands. So there’s definitely a connection. I wish we could learn something from the history of art and transfer some of its psychological depth and technical refinement into our work. I think there’s a potential there, especially in dioramas and figures. Just like the famous paintings, our projects should tell stories – and it’s up to us how immersive and deep they will be. You have a wonderful blog. I’m looking forward to future posts. Thanks Peter! I’ll keep them coming if I only have time.